Hello Friends, It’s the weekend….Woohooooo! That also means it’s time for a new challenge over at Just Us Girls. 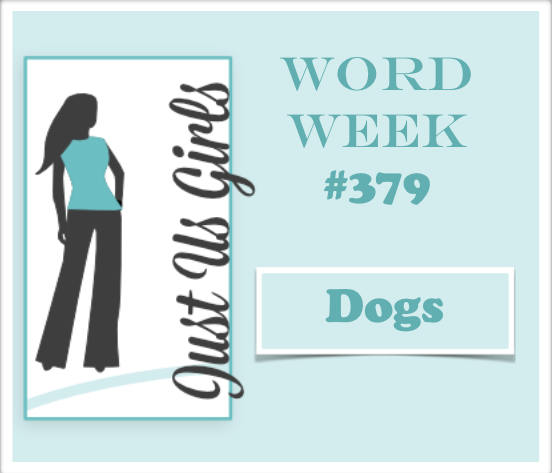 The Word we have for you this week is Dogs! I only have a few dog stamps and this is one of my all time favorites. It’s from Crafter’s Companion. I again colored him with my Prisma Colored Pencils and decided to leave it as a one layer card. I added the patch of grass for him to balance on. The sentiment is from MFT. 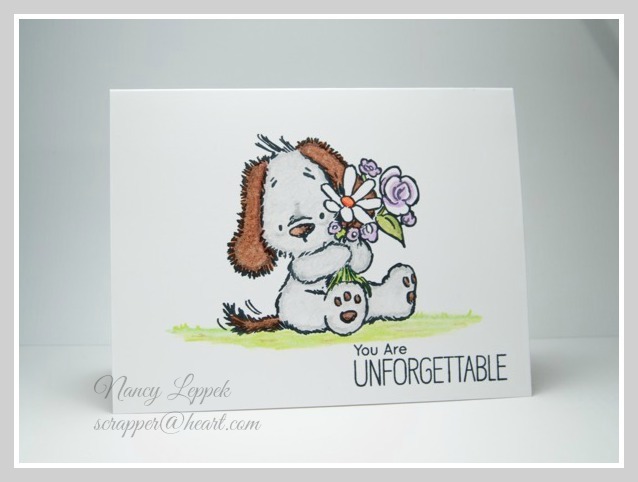 Categories: Uncategorized | Tags: Card making, Cards, prisma colored pencils, rubber stamps, stamping, Thank you card, Thinking of you | Permalink. Aaaaaaaaaaaaaaawwww, this is sooooooo cuuuuuuuuuuuteeeeeeee! LOVE IT!!!! Awesome Nancy! He is so cute I can’t stand it! You made him just perfect, a lone image and nothing else. He is adorable. Fabulous card. That doggie is so cute and your coloring is perfect. This is the sweetest puppy image. It sure brings happiness. I love how you colored it too. Super adorable image Nancy! He just looks so huggable! Great coloring too! Lovely card! How sweet is this image! Made me smile. Great coloring too. What an adorable image, and I LOVE your CAS card design! LOVE how you have colored this sweet little guy!!! Wonderful one-layer card, no easy thing to do sometimes. Great take on the challenge, well done! We certainly have some adorable and cute doggies this week and this is another one. Beautifully coloured Nancy. Just love him! Oh so cute! What a sweet image and so wonderfully colored Nancy!! Heart Hugs! Have a great week! Oh, how stinking cute is this? What a fabulous card!!! That little dog is so darn cute! I love your one layer card, something I tend to struggle with. Awesome coloring on this, too!